Ian W gave the welcome to the meeting speech. 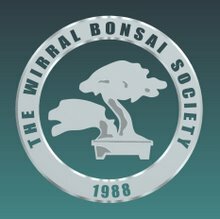 Bonsai Expo North at Don Valley Sheffield is to be held on Sun 27 Sept 2009 between 10.00 am and 4.00 pm, admission £4. Vale of Clwyd Bonsai workshop to be held on Sun 20 Sept 2009, Tony Tickle will be giving his advice and encouragement all this for £ 40, if interested ring Dave B. Mark K will be leading a walk in the woods around Snowdonia, to mark out potential trees for lifting in spring next year, Sat 24 Oct 2009. Due to Tony F unable, because of work commitments, to make it to themeeting, Ian W, held the styling for beginners workshop, a lot of goodadvice and encouragement was given on what could eventually become some excellent Bonsai. This months Bonsai site is an interesting one but not necessarily one of use for everybody!! 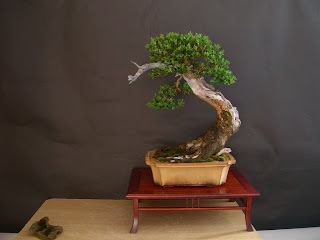 Are you looking for a professional bonsai artist? If you are, check it out. If you are a professional and your not included, you can even add yourself to the database.